The best video yet of the three cameras that I have bought so far. Mounts well on my Quad. and handles light changes well. Needs the on-screen date bug fixing (while disconnected from App.) and I'm unable to turn off Image Stabilization. As others have noted it also requires a better set-up manual and system. 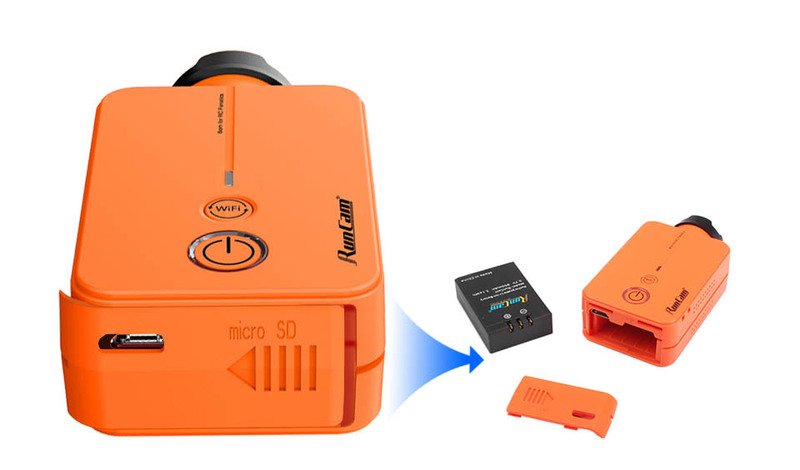 Apart from that, well done RunCam - a great device! The quality of the cam is very good. I wouldn't call it amazing or fantastic, but it's very good. Much better than my older model GoPro. I use this primarily on my bike, and it shoots very good video even at high speeds and with "road buzz". 1080/60 is pretty much mandatory to get any kind of quality video. Like many action cams, the colors are a bit muted, and it has problems rendering trees/leaves well, trees often look fuzzy and pixelated during fast motion. I've tried a few videos at a slower speed, taking panorama videos of landscapes, and it does a much better job. 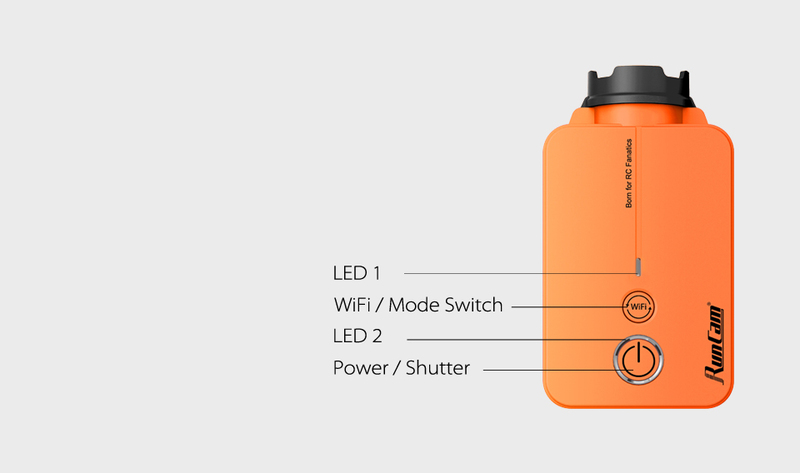 But I'm sure the vast majority of users will want this as a fast action cam, which it's good at, but not great. My biggest gripe is with the setup. The instruction "manual" is a complete joke, there is virtually nothing useful in it. I had to end up watching YouTube videos in order to figure out how to use the on-screen configuration menu. And it's a pain, because you have to connect to a TV pretty much jury rigging some cables and wires in order to get to the on screen menu. It is NOT easy at all! Connecting to the phone via WiFi is nice, but it is very limited in the settings you can change. You almost have to be some kind of AV nerd in order to connect all the various wires and cables in order to make settings changes. I was very annoyed when I first got this, and had to spend extra time Google searching and YouTube searching how to do certain things with this camera. There should be a COMPREHENSIVE, easy to understand manual included, not the scrap piece of paper with literally nothing useful on it! Lastly, I was annoyed with the lack of a GoPro style mount included. I had to purchase a $10 kit which included a bunch of other stuff I didn't need just to get one small GoPro mount for the RunCam mount. They provide you with a standard camera screw-in mount, why couldn't they provide us with a 10-cent GoPro mount?! Overall, I like the quality of the camera, and I love how small and light it is. Way better than the stupid GoPro box that looks dumb on people's helmets. They just need to clean up the support end of things, and give the user some useful info on how to operate and change things on the camera. Best wifi cam out there. a great alternative when using Google cardboard glasses with lenses removed its just as you are using a $1000 set of FPV goggles. Use the cam as a dash board cam and am very happy with its performance. The "but" is the lack of support. I don't understand why the cam doesn't come with a step-by-step instruction manual. Why does one have to go through all kinds of hoops to try and set it up? Why can't the entire set-up menu be accessed through the smart phone or the tablet? I rate this as 'poor customer support'. Received my RunCam 2 today. It looks like a great little camera. I purchased it for my fpv quad which im still yet to try it on. I have tryed the camera at home, around the house and picture seems to be nice and clear. The WiFi is a great feture connecting straight to my phone and the app is easy to use. I feel the video quality of the camera is amazing! ! However it falls short on delivering audio even when spoken to drectly. that being said, it really does an awesome job with the video. 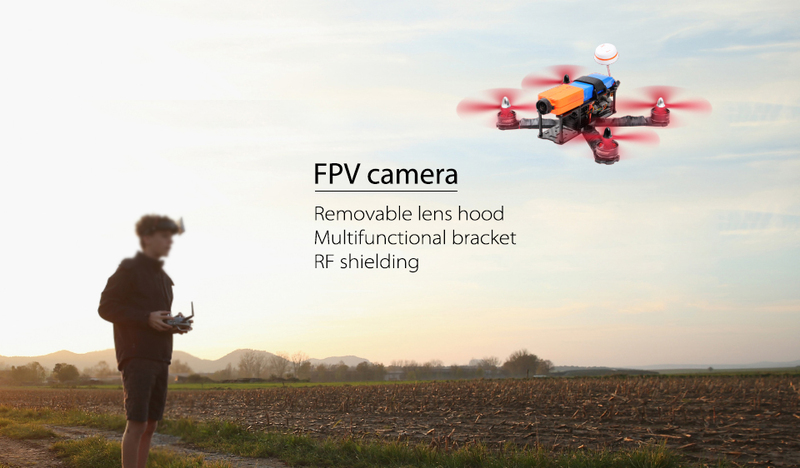 It does its job as a quality video fpv camera with and awesome WiFi app! I plan on buying more for my quadcopter fleet despite the audio issue. Bought this product a few weeks ago , mounted it to my racing drone and was so anxious to see the videos I only flew her for a few minutes, downloaded the video and sent it to most of my friends, the quality was fantastic. I have had this cam for a couple of months now and couldn't be happier. It has lived up to my expectations and more. Beautiful video quality. Nice form factor which makes mounting to my 250 quadcopter easy. Very easy to setup and change settings via mobile app and osd. Will be back for more products for sure. La cámara tiene buena calidad, no pesa nada y el vídeo es bastante bueno. Yo la uso en mi f550 de DJI. Lo que menos me gustó es el balance de blancos automático, que no es muy fiel en alguna circunstancia. En general, es muy buena compra y además el servicio de atención al cliente es muy bueno. A mí me atendieron en dos ocasiones. Una porque sin darme cuenta había comprado dos cámaras sin darme cuenta y les mandé un correo explicándolo. En seguida me devolvieron el dinero. La otra ocasión, fue cuando me llegó la cámara que llegó con un defecto de soldadura en un cable de los que trae para conectar a la tele. Me mandaron otro sin poner ninguna objeción. Really good product. 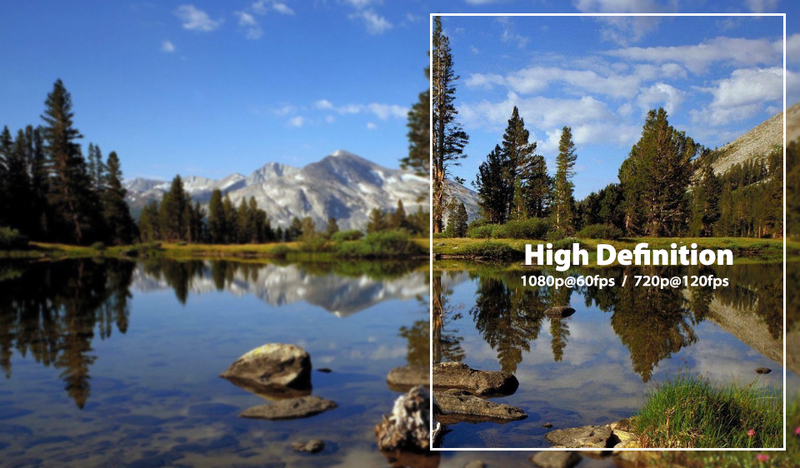 High image quality. 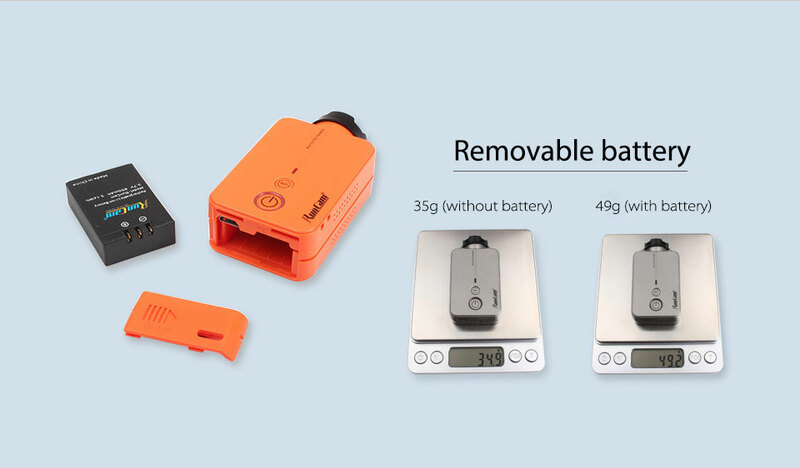 The battery cover is a little bit hard to take off, but otherwise really good. Follow-up: Thanks for your feedback. We will improve it. I'm very impressed with this camera - everything looks and feels solid. I didn't expect much for a $99 camera. Follow-up：Normally, the 1080px60 is also great. Could you please try again use other computer? If you still have any question, please feel free to email us at run@runcam.com. Très bonne caméra. Facile d'utilisation. All expectations are exceeded! I love the size, form and function of my orange RunCam 2! This thing is so light, buy one NOW! I've had 2 Mobius HD cameras and both died on me within 3 months after purchase. Ok, I crashed my quad many times during my fpv learning curve. 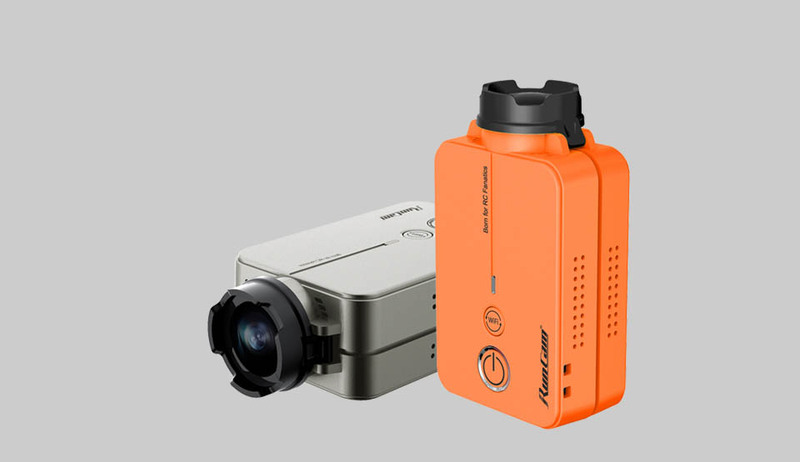 But the Runcam2 is something completely different! Personally I think the quality is even better than my GoPro Hero2. And the Runcam2 comes with everything you might need for it. I'm very content with this awesome little 1080p60fps / 720p120fps camera. I will definitely buy more of these for my other quadcopters. Great features for a brilliant price! It's a great item with a moderate collection of accessories for mounting etc. Video quality is stupendous (I'm brace enough to say it's not far off a GoPro!) light and intuitive, it completes the package. I'll be getting a couple more of these in the future! 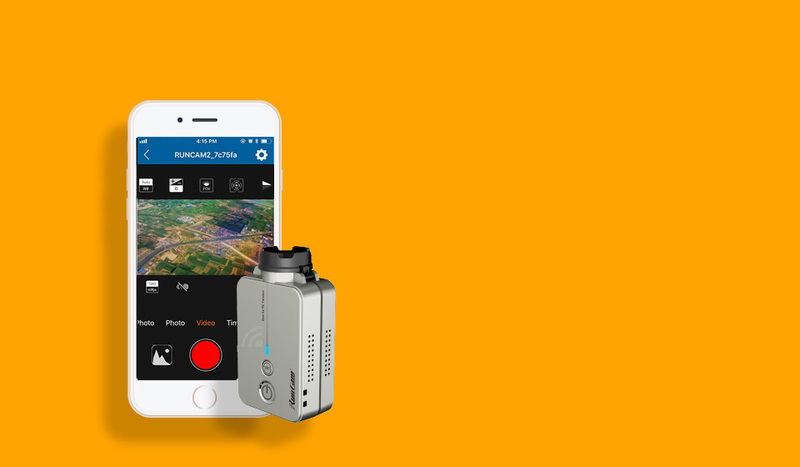 The RunCam HD 2 Shield is specially designed to fit the new RunCam HD 2 camera. With the camera's light weight and ability to recording in 1080p HD at 60fps it makes it a perfect tool for your quad. Waht should I say, it does what it should and this with excellence. Great pictures and lively videos. But the handlich (it only has two knobs) is a bit tricky. I hope that in further updates of the software it will be possible to fully remote control the camera. The 5 STARS - no doubt. Keep up the excellent work. Thumbs up! I got mine from the States and got hammered by European import duties so a larger stock in European outlets would be appreciated. I finally received my Run cam 2 , and love all the new features. My favorite is the color. I like that the bold orange color is a lot easier to spot. But the other features incorporated in this new camera is great. Please keep making new products for us RC pilots. I would suggest a new case for your Run Cam HD in the same bold orange color so we can swap it out. When I first received the camera 2 weeks after purchase, I was very disappointed. It was pixelated and the audio was extremely scratchy. After reading online and the website I saw I had to do a firmware update for the camera itself. This did the trick and the quality now and then is like night and day. Great product, just wish the update was either already installed or there was a "Warning Firmware Update Required," sign when first opening the camera. Otherwise great camera for FPV. Follow-up: Hi, thanks for your feedback, we will work on that. 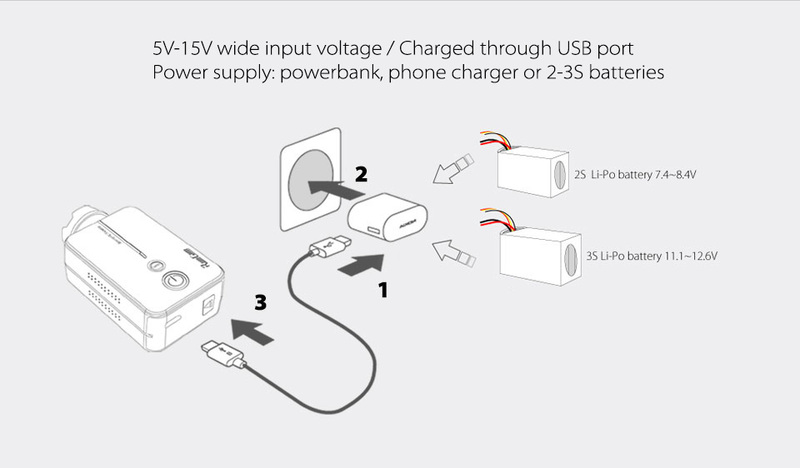 When I received the camera I couldn't get it to power on without it being connected to an external power source. I had to use a knife and bend the battery's tabs so that they would better contact the camera's terminals. Other than that the camera is amazing. I thoroughly enjoy the WiFi connection to my phone because it lets me adjust the setting for the camera on the fly and gives me details of recording time left and battery life. It does run a little hot so I'm a little worried about the longevity of the camera if it is continuously used without any airflow to cool it off, but that shouldn't be a problem if it's used as intended. Thanks for another affordable and great camera Runcam! I bought the run cam 2 for my hobby project - FPV Racing Quadcoptor. Im in the very early fase of collecting parts so i thought i would start with the action cam for my quad. If i should come withe some critics it is that the camera gets hot. Not a "problem" when im going to use it as action cam for my quad (air cooled) but anyway thought i would mention it. Overall a very nice camera with impressive image quality! Awesome camera for the price! Can't be beat!! Best camera for the price, hands down. Miles beyond the RunCam HD. True 1080p at 60fps, which is perfect for mini racing quads, even the smaller frames. RunCam support is very fast with releasing firmware updates and fixes for whatever issues that are found. They also listen to the community and make requested changes, which is hard to say for most companies. My only complaint at this time, and I'm sure this will be addressed soon, is the smartphone app. We need all of the camera settings available to change there. Having to hook up A/V out just to change some of the more important options is a bit of a pain. 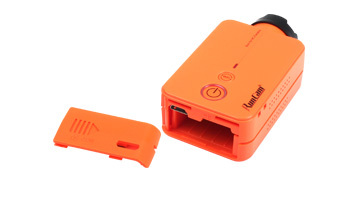 But, like I've already stated, I'm sure this is something that RunCam will fix for us. It shouldn't be difficult to add. Thank you RunCam for such a great, affordable camera!! Image quality is nice. Bitrate is high lacks many settings for adjusting quality. Not all options are avaailable for setting without analog output connected. But quality is great don't judge by youytube videos... youtube butchers videos with their compression. Quality is really good checkout raw footage for real comparsions. Once you get the hang of operatin g it it's great. Light vesitile. Used both on my road bike and quadcopter.. really nice piece of hardware... and let's hope software will evolve . Also comes with everything you need av cables external power cables usb cable and tie straps and velcro stickers. additional mount spare protection crown. I'm greatly impressed with this little beauty. Got very early relase with image quality issue ... within 24h was fixed via firmware update. Great support. 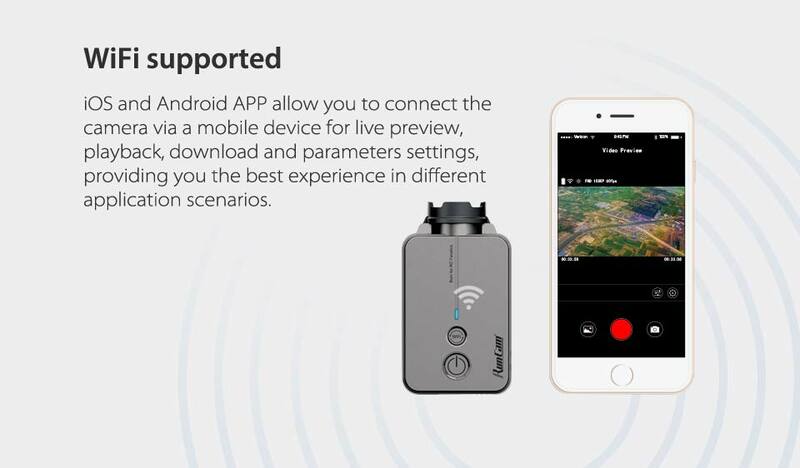 This is a great lil action cam for its price and image quality, you dont need to go out and spend a few hundred on other cams when you can get what you need out of this cam that costs hundreds less. Best camera to put on your racing quad! Its small and light weight, I would recommend to anybody! well made, app works well for setting up much improved over the first one. bright orange will be hard to lose in the grass. I FOUND THIS TO BE HARDER TO SETUP AND USE COMPARED TO THE RUNCAM HD. WIFI TRICKY AND HARD TO CONFIG. Follow-up: Which app did you use, Android or iOS? By saying "tricky WiFi", do you mean the WiFi connection is slow ? 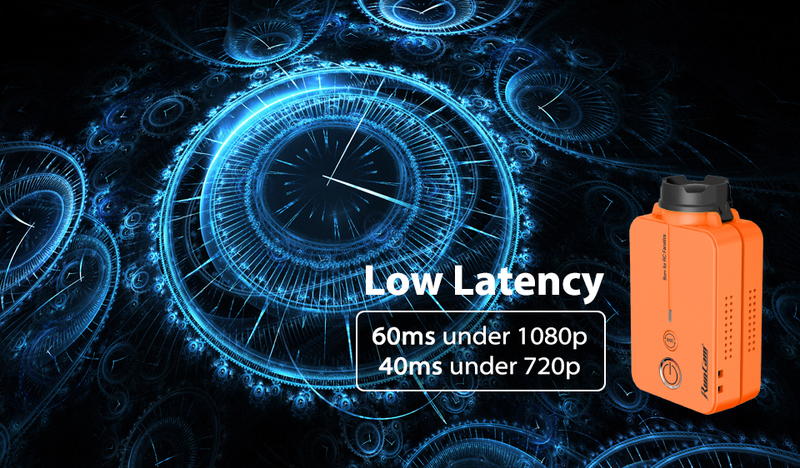 Camera takes great video at 1080p 60fps. Bright colors and excellent light dynamics. It is lightweight and the attached cradle fits really good on a racing quad. Runcam might have a real winner here. Have not tried AV out but I probably will, to see if the latency is as low as advertised. Wifi app was functional. The overall buttons and interface are minimalistic but that is an advantage on the field. Very good quality on the video, nice features and good android app. The firmware added works great with the low light. Very good cam. Very bright with great features. Perfect for Copter.